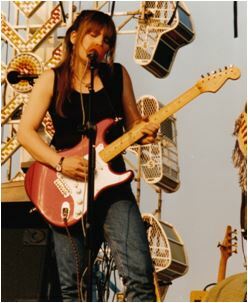 Caryn has been working as a professional guitarist since 1984. 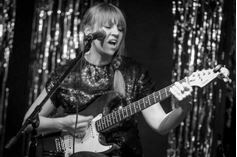 In this time she has performed in Rock and Blues bands and also as a solo artist. Some of her musical experience has been commercially in the studio and also in the theater. She has over 30 years of teaching experience including 16 years as an administrator of the Guitar department at the College of Lake County. Her education includes a college degree in music and 12 years of classical guitar private study. Currently she is writing and recording tracks for an album. 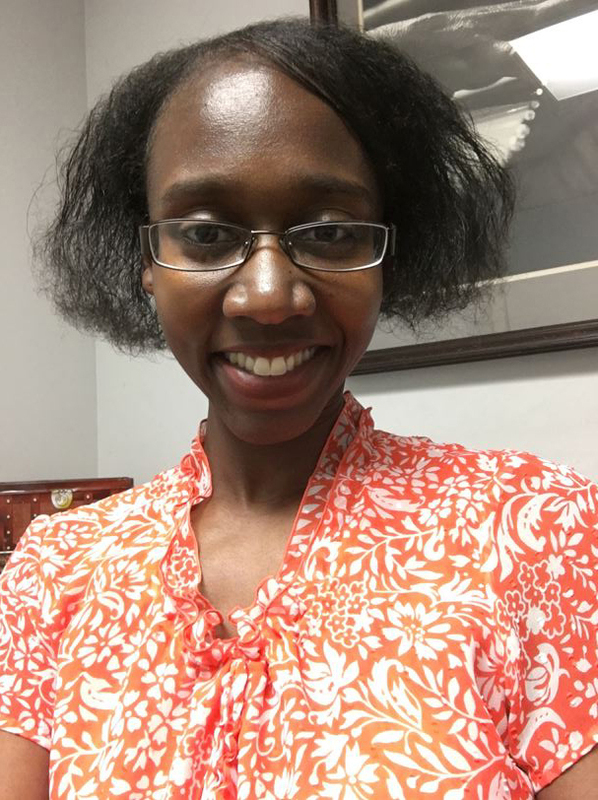 Her teaching disciplines include: reading, theory/diatonic harmony, slide, finger style/classical, rock and blues improvisation, to name just a few. Acoustic/ Electric Lessons Offered. 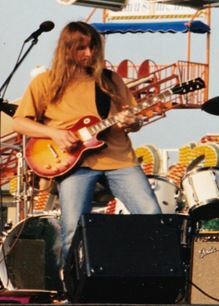 Gene has been playing guitar and performing since 1983. After studying music in college where he majored in theory and performance, he began to teach professionally in 1987. 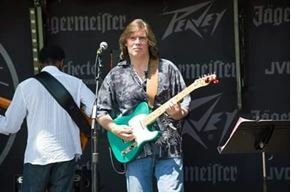 He has over 30 years of experience in most styles of music, which he brings to his lessons. Teaching disciplines that include: Reading, Theory, Composition, Ear training, Improvisation, Slide and Lead Guitar. Besides many live band and solo performances, he has performed on an internationally released album and is currently recording his own debut album. Acoustic/ Bass & Electric Lessons Offered. I have been teaching and sharing my love for music for over 35 years. My music education began with Kurt Harf at the Music Center when I was 9 years old. Through grade school and high school my love for music grew and I began to teach privately at home. In 1980, I was hired as a guitar instructor at Hammond Organ Studios here in Kenosha and continued my education from 1980-1984 at Parkside College studying classical guitar with Susan Gulock and George Linquest. I also played in the Big Band Jazz ensemble under the direction of Tim Bell. When Hammond Organ Studios closed I continued my teaching at Music Center and have been here now for 30 years. I have a passion for many styles of music ranging from classical to rock - country to jazz and a lot in between. My style of teaching is structured in music reading, music theory, understanding the guitar fingerboard thru the C-A-G-E-D system, ear training and playing and memorizing tunes that are fun to play. My goal is to help you help yourself in your magical musical pursuit. Currently Terry is currently playing with local bands, Triad and Acoustic Soul. Acoustic/ Bass & Electric Lessons Offered. 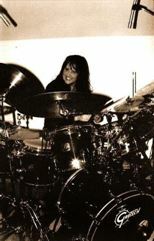 Jill has performed professional drums within the Jazz, Rock, & Pop genres. My career began at the age of 10 where I played lead snare drum in an all-girl corp. I continued within the school system throughout High School. I studied Music Theory at the College of Lake County and was privileged to study privately with instructors in Chicago and N.Y. Jill has performed for almost 20 years of Professional Musicals, Worship Teams, Pop and Rock and Blues and Jazz bands. My passion is not only in performance but also in investing in others and bringing out their talents. Jill has been teaching private lessons for over 15 years. My goal is to instill in students that music should always be fun and that being the best musician you can produces management skills students will take with them for many life experiences. I have taught keyboards and piano in Kenosha for over 20 years. My early roots were in classical music and I have a degree in Music Education from UW Madison. I am very active in the Kenosha Music Teachers Association, a professional group of private music teachers in Kenosha Country that is affiliated with the accredited national (MTNA) and state (WMTA) organizations. I involve my students in as many performance activities as I can, either competitive or non-competitive. 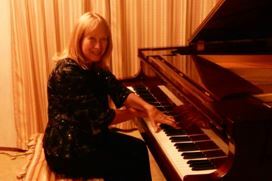 I have performed as a pianist or vocalist in different genres of music through the years, as a wedding, church or dinner music soloist, and also as a member of pop/ rock bands. I can make customized arrangements for students of any level if there is a piece you love but can't find on the market. I have a strong commitment to learn what works for each student. 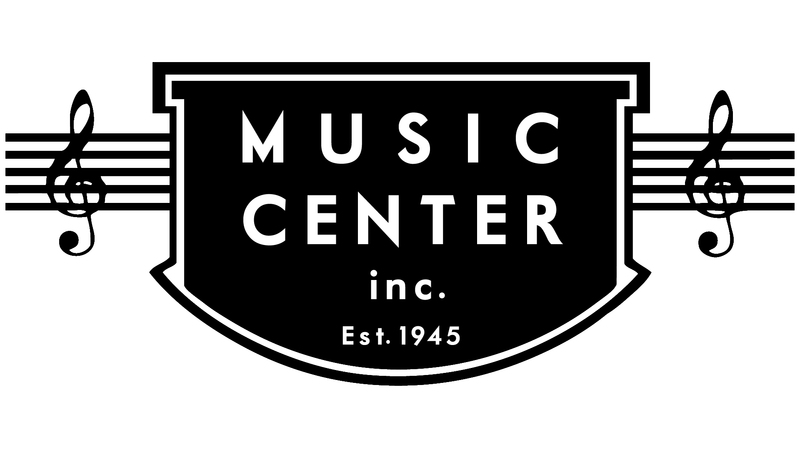 My name is Stacie Palmer, and I have been a piano teacher at the Music Center for almost 10 years. My love for piano began when I was in 2nd grade. I have enjoyed playing for schools, recitals, community events, and church for 30 years. Educationally, I have earned a Master of Education Degree in Elementary Education with a Minor in Music. Through the years, I have taught ages ranging from 3 to 65, and I truly believe that anyone can learn. I provide a professional program to encourage the best possible learning environment for my students. Learning an instrument must be an enjoyable experience, and this is my goal! Loren is accepting students of all ages and skill levels. Her teaching style is a mixture of allowing students to present material from their favorite artists and style influences that they would like to work on, mixed with material and techniques critical to progressing vocally. Loren's experience includes a wide range of accomplishments. Loren started singing in church at the age of three. Throughout adolescence, she was involved in concert, jazz, and show choirs, as well as theatre productions and solo and ensemble receiving a starred first (the highest score) for a solo performance. She attended Viterbo University in LaCrosse, Wisconsin on a Vocal Music Scholarship. She majored in Vocal Music Performance with a minor in Piano Proficiency. Beyond college, Loren has performed professionally in several bands including being a back-up singer and collaborator with Jane Wiedlin of the multi-platinum selling band The Go-Go's. Her experience has built a strong foundation on which to pass on what she has learned over her career as an accomplished musician.